We back up our WORDS with ACTIONS. Here is what our members have to say. If you are our existing Free or TradePlus Member and have a success that you want to share, do get in touch with us at testimonials@toboc.com and we would definitely put it up. As a member of TOBOC and its online partners, especially The World Bank Group and Doing Business, we are able to get our products and brand name shown in a professional way, and we know they will be noticed by a global market. TOBOC is one of the best B2B website, and every enterprise should starts get involved with. 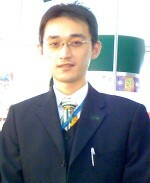 We joined toboc.com as a Free Member in 2011," said Mr. Wagner, manager of exports. "toboc.com is not only an effective sales channel, but also a great place to help our brand. They brought us new business opportunities and customers," he added. "After joining toboc.com as Free Member, we received some requests from customers, but trust was an issue. One year later, we upgraded our membership and gradually we got more and more quality inquiries," Mr.Wagner recalled. Their first customer was one from the US, who specialized in importing. Their next customer was a furniture buyer from India, followed by a buyer from Italia, and then another from Spain. Since then their customer base has steadily increased. "Our TradePlus Membership help us reach customers and manage our online business. Thanks to this tool, a quarter of our inquiries are quality ones," Mr. Wagner concluded. .
Toboc International and their teams were so professional and efficient in providing information’s in all my enquiries. I am very happy working with them. Ever since I logged in with TOBOC my business grew and boosted with excellent. I confirm that I have dealt with this portal during which time they have been boosting my business with excellent support in the areas of business. The Trade advisors are really helpful and the give valuable advice and guidance to develop our business in International Trade. I can confidently recommend TOBOC.com as a solid and reliable website in their field..
TOBOC is the Direct Link With Original Exporter and Importer for specific products. It helps you to choose the right person and it gives good Business deals, worldwide. We are Foshan Gaoming Smart Ventilation Equipment Co.Ltd a factory of ventilation equipment manufacturer before I know TOBOC,I had tried a lot of B2B platform,but it seems no use at all,Since one day I registered a free account on TOBOC,But I seldom sign on it, many days after,I sign on TOBOC, found several inquiry in surprises .After checked the customers info knew that it is a real buyer, now I am still talking about the business with the buyer ,we have big opportunity to get this order,I am full of grateful for TOBOC,Now in order to increase the effect of promotion,we are going to be the pay member of TOBOC,TOBOC is really a great platform that help me to promote my business . I started using TOBOC services couple of years ago and came across a vast array of clients across the world. I, being an exporter, met some serious buyers for our products around the globe. It is a user friendly site and hope it will do better by the day. We got many genuine contacts which are useful to us. We try to contact buyers in untapped markets and Toboc has distinctly helped us achieve this. I highly recommend buyers & sellers to explore new opportunities. I like personalized support by Toboc. I like very much TOBOC. There are a lot of sites for B2B market, but I think that TOBOC has a better graphic aspect, allows company to give more information about them and in a clearer way and all that simplifies the members researches. So I can say that my experience with TOBOC has been very good and I hope to make some other business on it. Go on this way!!!! Would like to tell about TOBOC. Toboc has genuine database and it is a good platform for doing business across the globe. It has given my Company International exposure. I recommend Toboc for International Business. One more thing, you should have more interactive sessions with your clients to educate them about your business. Joyful Profit International Ltd. has got the right platform from TOBOC and it’s the right database of people who are serious about their business. TOBOC is user friendly and we have contacted a lot of members pertaining to our sector. We recommend TOBOC for better buyers and sellers. Since joining TOBOC I have experienced access and exposure to prospects all over the world. I have received inquiries from California, to Asia, before TOBOC my world consisted of the United States and Canada , now I can truly say I am a provider of credit insurance world wide. Thank you TOBOC for giving me and my company the true international presence we needed. The best i could find on net so far as far as the database of importers & exporters is concerned and listing here means pure business for you . Its a great database of people who mean business. Though we are new in this site but we totally believe that TOBOC would give us what we want. Thank God for TOBOC. Recent new members to TOBOC.com but confident that we will now be able to access those all-important overseas contacts, and achieve a global presence in a World of business opportunities. ITS OUR PLEASURE TO BE ASSOCIATED WE TOBOC FOR RECENT TIMES.WE ARE SLOWLY BUT GRADUALLY BEEN ACCEPTED BY THE WORLD IN COMMUNICATING OUR BIZ ASSOCIATES.WE HOPE TO GET THE SAME RESPONSE IN FUTURE. I am Lila, here I got business more than 50 laks from TOBOC.com, now i am tension free, I got the right platform to get more visibility in the world as well as business.